Ceramic petrography, a microscopic examination of the mineral content and structure within ceramic thin sections, reveals the origin and movement of pottery and sheds light on the technology of the artifact. Practiced by archaeologists since the 1930s, ceramic petrography was less commonly practiced until recently. Integrative Approaches in Ceramic Petrography highlights new results from this field and incorporates it prominently within current archaeological work. Thirteen papers cover a broad spectrum of regional and temporal contexts with case studies that provide practical examples combining petrography with scientific, ethnographic, and experimental methods. 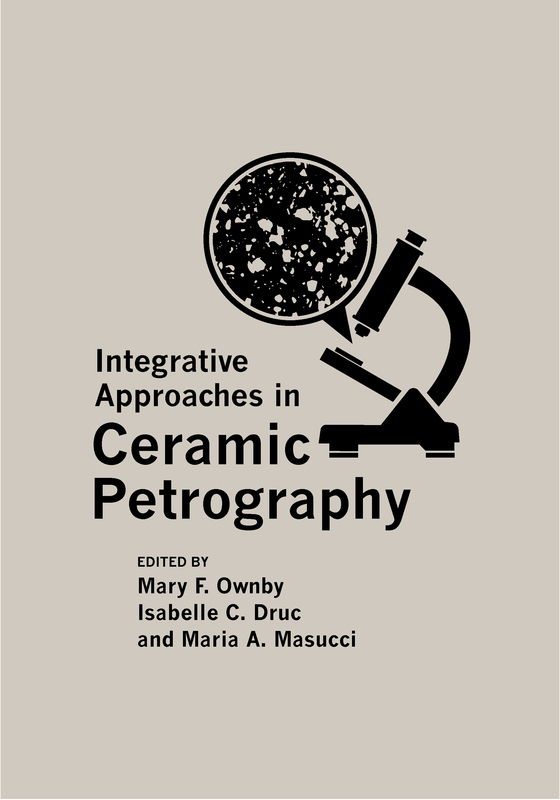 The varied uses of ceramic petrography and the insights it has generated, illustrate the significance of this method for understanding past societies and the volume’s conclusion provides an astute overview of the field. Mary F. Ownby is the research petrographer at Desert Archaeology, Inc. and a research associate at the University of Arizona. Isabelle C. Druc is a researcher at the Department of Anthropology at University of Wisconsin-Madison. Maria A. Masucci is Professor of Anthropology and director of the Archaeology Minor at Drew University.